Buy any Super Titan Double Door Safe and get a Double-Door Accessories Package absolutely FREE! 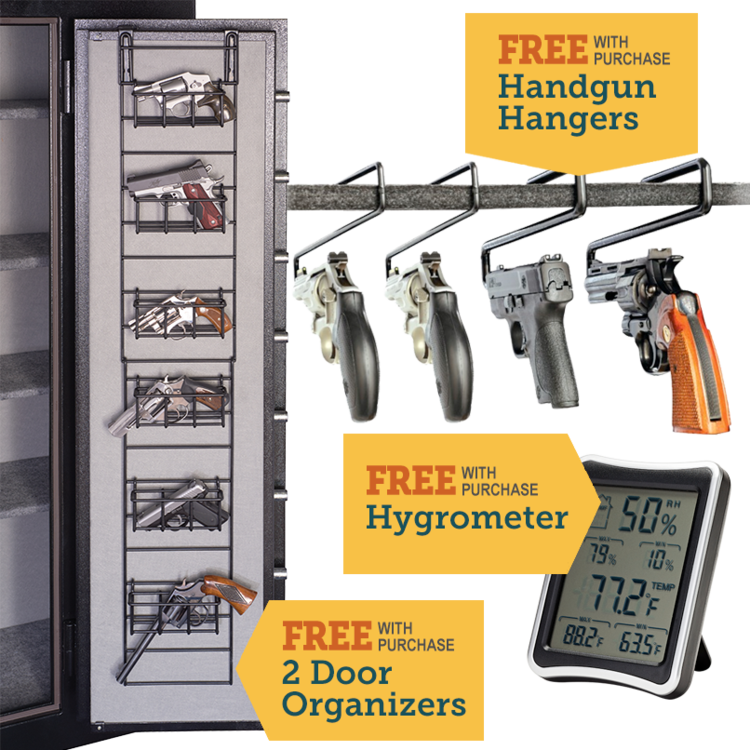 The Double-Door Accessories Package includes two Door Organizers, one Hygrometer, and a 4-pack of 22 caliber Handgun Hangers. For the entire month of May, your online purchase of a Super Titan Double Door Safe in XL or XXL will automatically ship with the FREE Double-Door Accessories Package! There's no need to add anything to your cart and there's no promo code required! EVERY Super Titan Double Door Safe purchase is automatically qualified for this fantastic offer (while supplies last)! 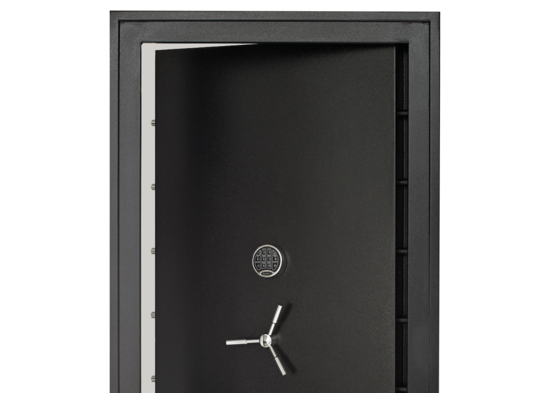 Buy any Vault Door and get a Keypad Safe absolutely FREE! There's no need to add anything to your cart and there's no promo code required! EVERY Vault Door purchase is automatically qualified for this fantastic offer (while supplies last)! Buy any Titan Modular Safe and get a Big-Safe Accessories Package absolutely FREE! 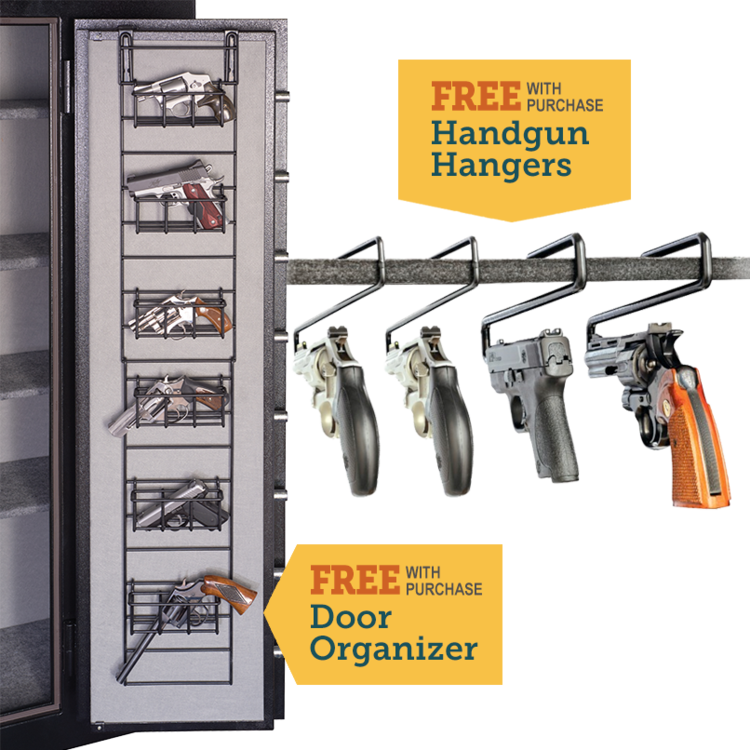 The Big-Safe Accessories Package includes a Door Organizer, a 4-pack of 22 caliber Handgun Hangers, and a 4-pack of 44 caliber Handgun Hangers. For the entire month of March, your Titan Modular Safe online purchase will automatically ship with the FREE Big-Safe Accessories Package! There's no need to add anything to your cart and there's no promo code required! EVERY Titan Modular Safe purchase is automatically qualified for this fantastic offer (while supplies last)! 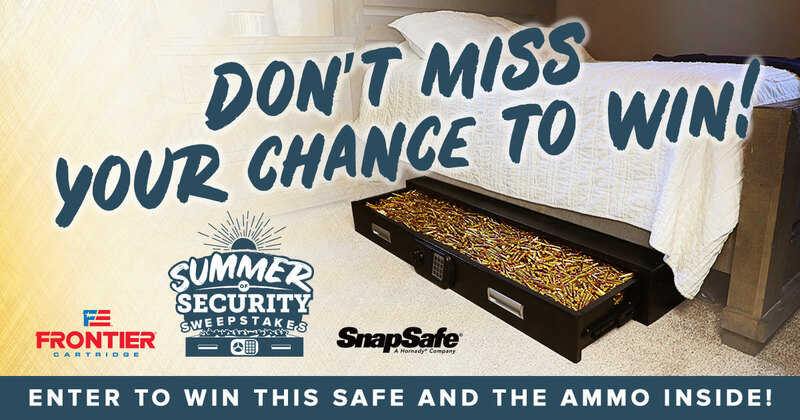 Buy any SnapSafe Vault Room Door or Titan Modular Safe and get a FREE Padlock Trunk Safe! During this offer you'll receive a FREE Padlock Trunk Safe with your Vault Room Door or Titan Modular Safe purchase! Order February 1, 2019 through April 30, 2019, and your Vault Room Door or Titan Modular Safe purchase will automatically ship with a FREE Padlock Trunk Safe (while supplies last). 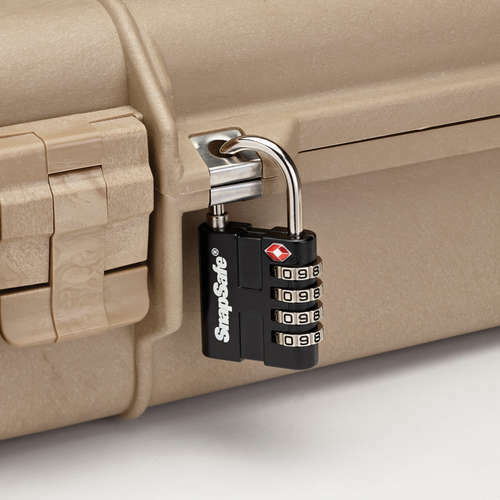 No need to add the Padlock Trunk Safe to your cart — every Vault Room Door and Titan Modular Safe purchase is automatically qualified for this fantastic offer! 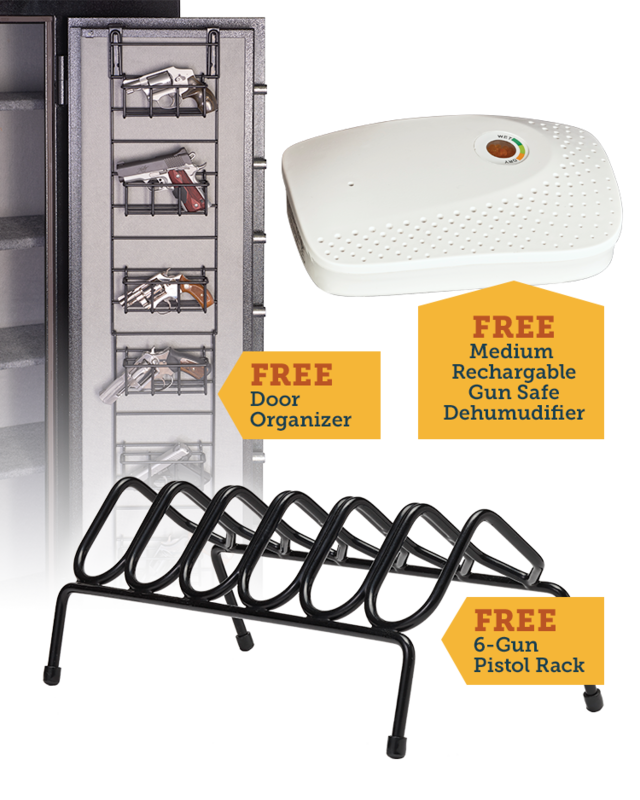 Buy any Titan Modular Safe and get a FREE safe accessory bundle! Order now through December 31, 2018, and your Titan Modular Safe purchase will automatically ship with a FREE accessory bundle (while supplies last). No need to add the accessories to your cart — every Titan Modular Safe purchase is automatically qualified for this fantastic offer! A room is only as safe as its door. 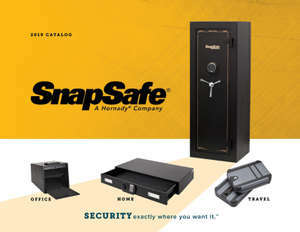 Enhance the security of any closet, room or storm shelter with the SnapSafe® Vault Door. 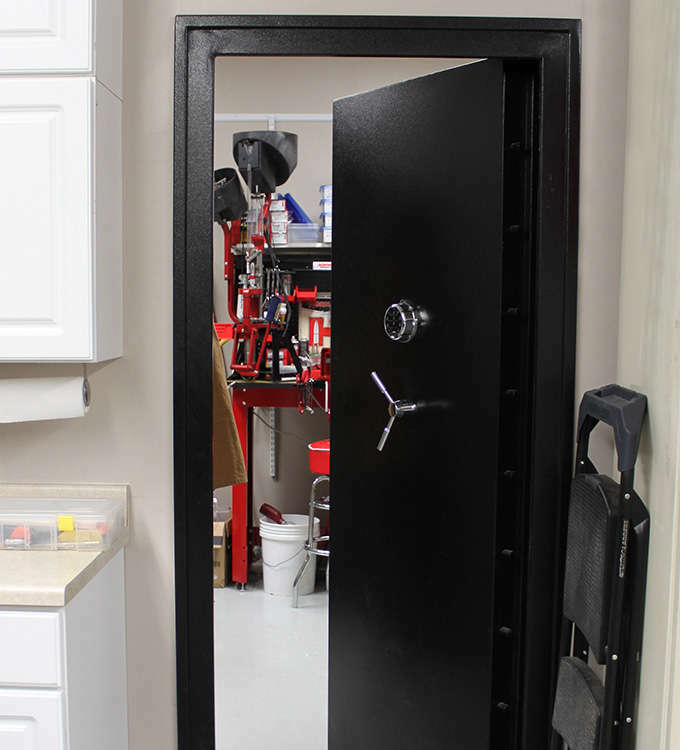 The SnapSafe® Vault Room Door, with its thick steel construction and easy installation, provides an effective and affordable way to protect an existing area from theft and intrusion. Buy any TrekLite™ Lock Box get a FREE TSA Padlock! Buy now and you’ll receive a FREE TSA Padlock with your TrekLite™ Lock Box purchase. Order now through December 31, 2017 and your TrekLite™ Lock Box purchase will automatically ship with a FREE TSA Padlock. No need to add it to your cart — every TrekLite™ Lock Box purchase is automatically qualified for this fantastic offer! 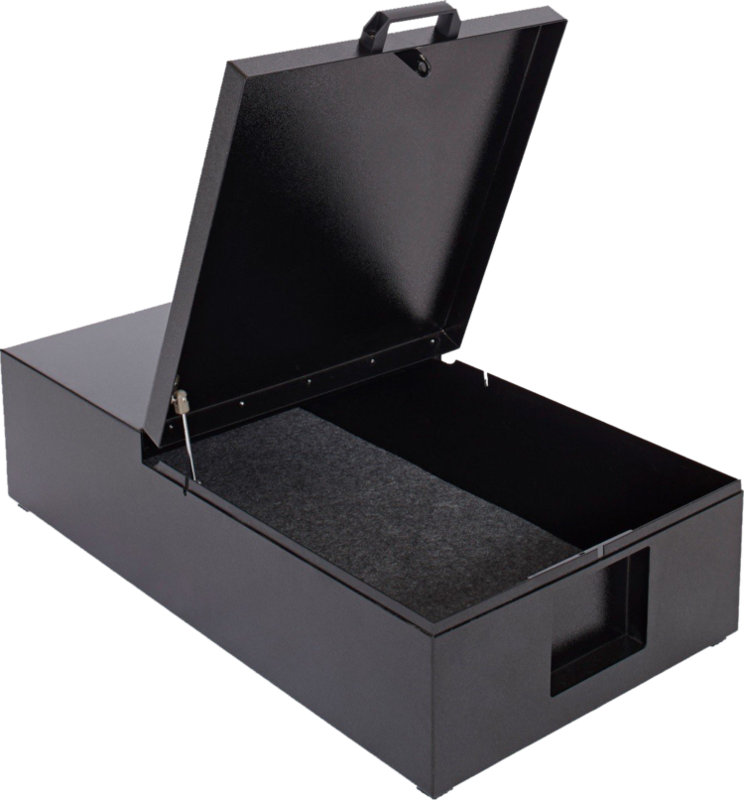 Buy any Titan Modular Safe get a FREE Safe Accessory Pack! Order now through December 31, 2017 and your Titan Modular Safe purchase will automatically ship with a FREE accessory pack. No need to add the accessories to your cart — every Titan Modular Safe purchase is automatically qualified for this fantastic offer! 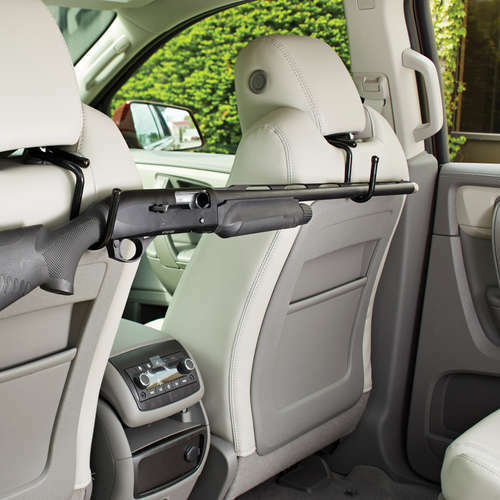 Buy a Trunk Safe get a FREE Vehicle Gun Rack! Buy now and you’ll receive a FREE Vehicle Gun Rack with your Trunk Safe purchase. Order now through December 31, 2017 and your Trunk Safe purchase will automatically ship with a FREE Vehicle Gun Rack. 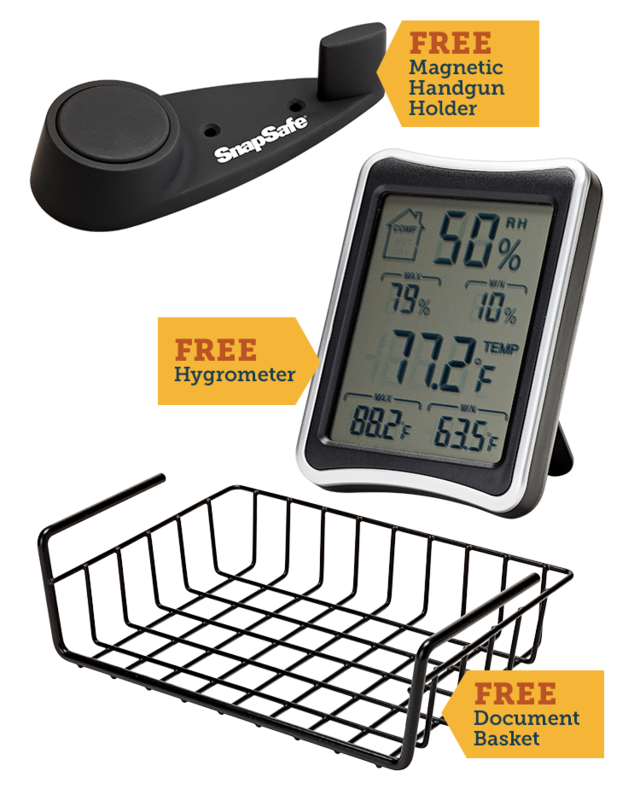 No need to add it to your cart — every Trunk Safe purchase is automatically qualified for this fantastic offer!